Rolfing was developed by Dr. Ida P. Rolf over 50 years ago. It is a form of hands-on manipulation and movement education which helps people to have better posture, fewer aches and pains, greater flexibility and more energy. Rolfing works on the connective tissue (fascia) to release, realign and balance the whole body. This is a holistic technique in that the changes in structure can impact the whole person on a physical, emotional and energetic level. Rolfers work with the body’s living malleable myofascial system. They work to lengthen and reshape the fascia releasing the restrictions in the body which have created patterns of tension and holding that have been built up over the lifetime of a person. Rolfing systematically treats the whole body from feet to head so that the body is able to be taken to a higher level of integration. By working in this way it gives a greater opportunity for the changes that take place to become long term. Rolfers touch the tissue using different techniques to assess its texture, quality and temperature to feel where the imbalances are in the tissue and this helps them to determine where to work. 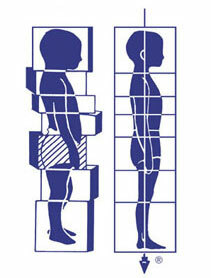 The Rolfing sequence generally consists of ten to twelve sessions. During this time a new structural order will be established and developed in the body and so will a more natural and efficient movement pattern. By understanding the principles of Rolfing, Rolfers can incorporate strategies inside and outside of the ten series which will reflect the unique needs of each client. They recognise that each client is unique so are able to adapt the recipe to suit the needs of the client and themselves.